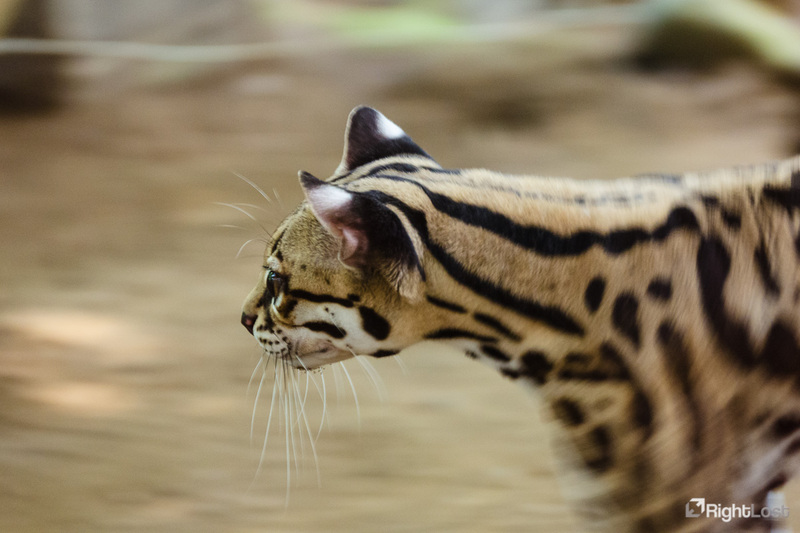 The Jaguar Rescue Centre in Puerto Viejo de Talamanca has a bit of a misleading name as there are no jaguars there, however they do look after a number of other Costa Rican natives, including the Margay, one of the smaller cats that inhabit the Jungles of Costa Rica. Lizards and Gekkos can be found throughout the country, some bigger than others. This one was shot during a break as we were going up river by boat to Tortugara. 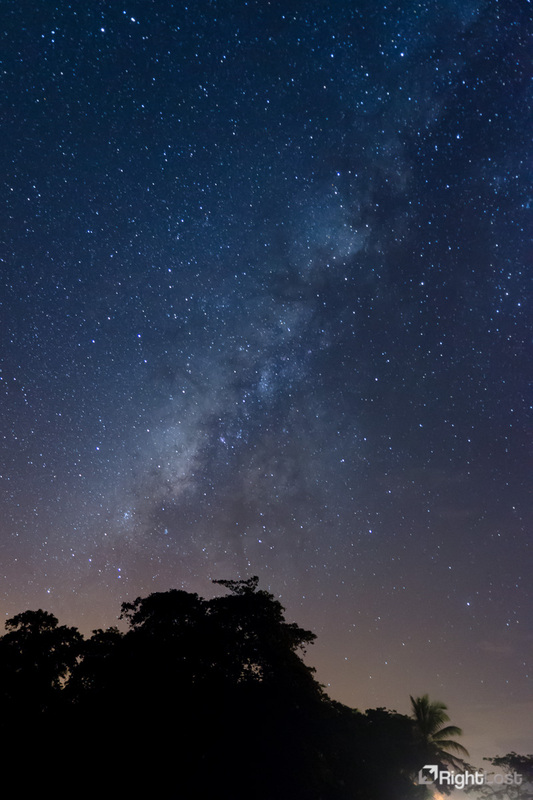 The Milky way, shot near Tortugara on the north Caribbean coast. We had been watching turtles lay eggs on the beach and as we were waiting for the boat to come and pick us up I had time to get some shots in a location with virtually nil light pollution. 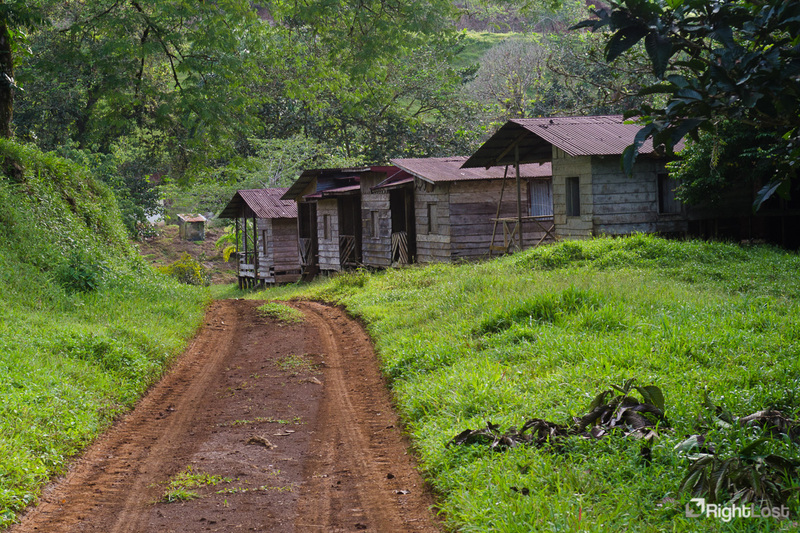 The road to Rara Avis Rainforest Lodge and Reserve is navigated by tractor and trailer and passes through the old farming land and workers' accomodation. The Legendary lodge has no creature comforts but it is a traditional farming house with huge veranda looking out over the primary rainforest of the reserve and Braulio Carrillo National Park. 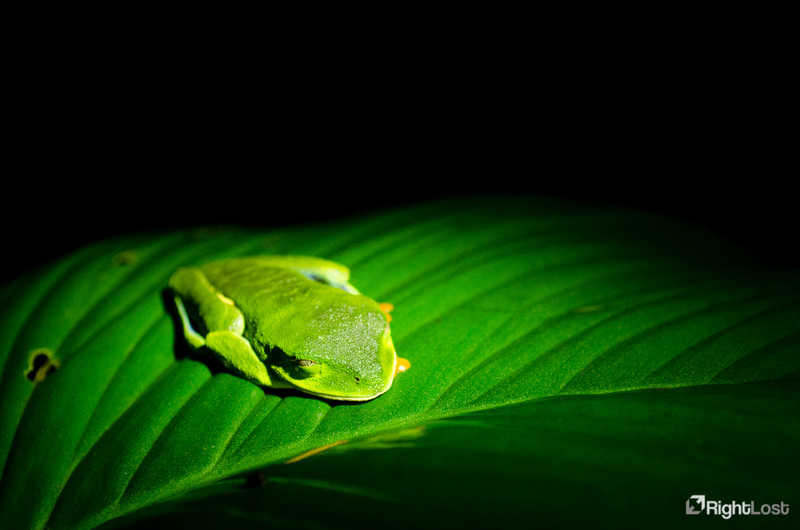 The Costa Rican tree frog is spectacular and one of the most distinctively Costa Rican animal in the whole of the country. With its florescent blue legs, red eyes and green skin it lights up the jungle with colour. 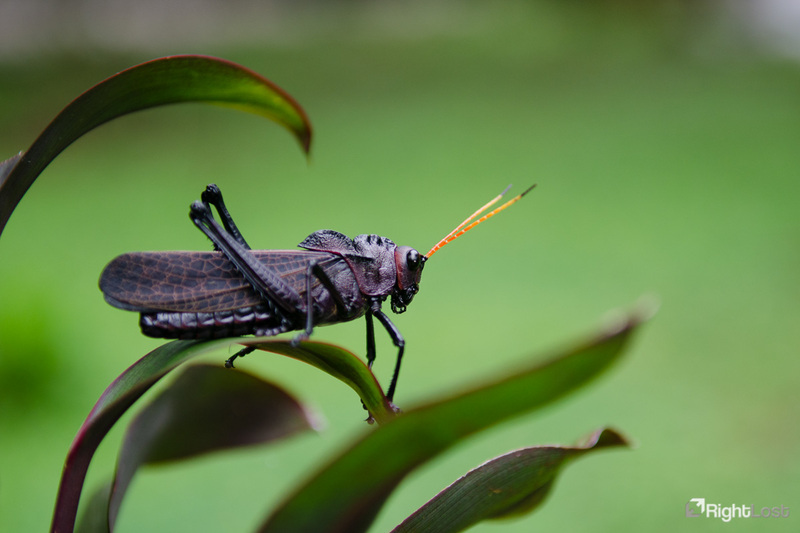 Insects abound in Costa Rica, especially at the Rara Avis Rainforest Lodge. This Cricket was shot in the garden, just in front of the lodge. La Fortuna is the Adventure capital of Costa Rica. 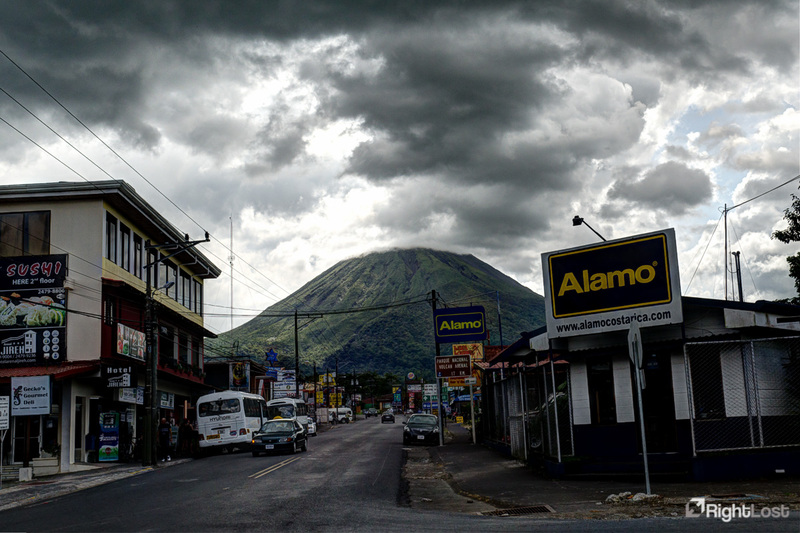 Overshadowing the town is the large Arenal Stratovolcano. 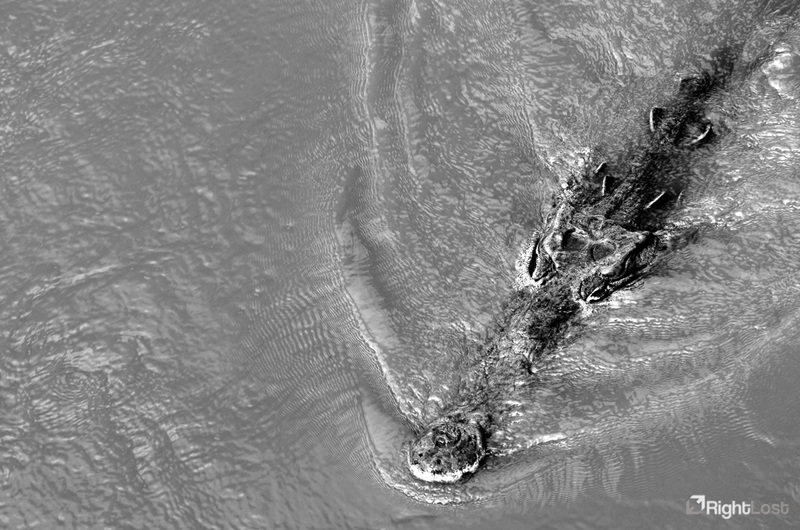 The volcano used to be one of the 10 most active in the world but has been dormant since 2010. We didn't see many crocodiles in the entire trip, however along one of the main roads through the country a bridge can be found where crocodiles are regularly fed chicken. 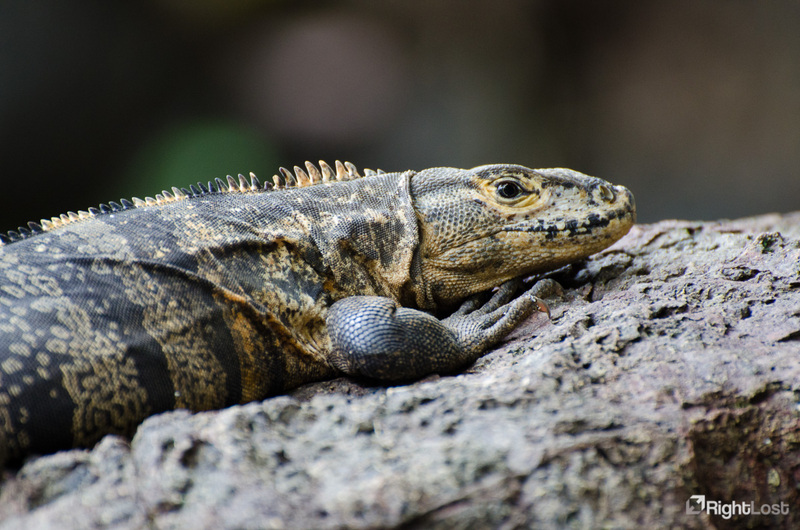 Iguanas can be found sunning themselves on rocks and beaches in the small coves of Manuel Antonio National Park. Costa Rica has four species of monkey and I was lucky enough to see all four, including the endangered squirrel monkey. 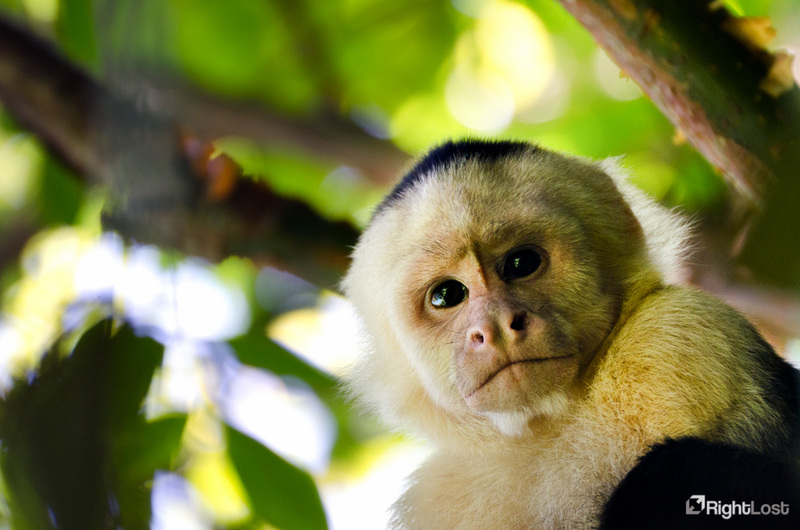 This White Headed Capuchin monkey, seen in the Manuel Antonio NP was very interested in us and had some great vocal expressions. 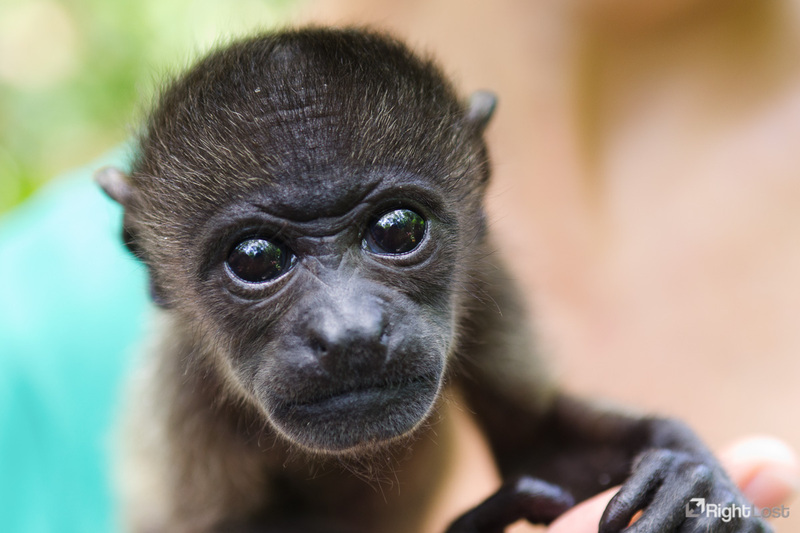 The Mantled howler monkey can be heard all over due to their distinctive howling that can travel miles. 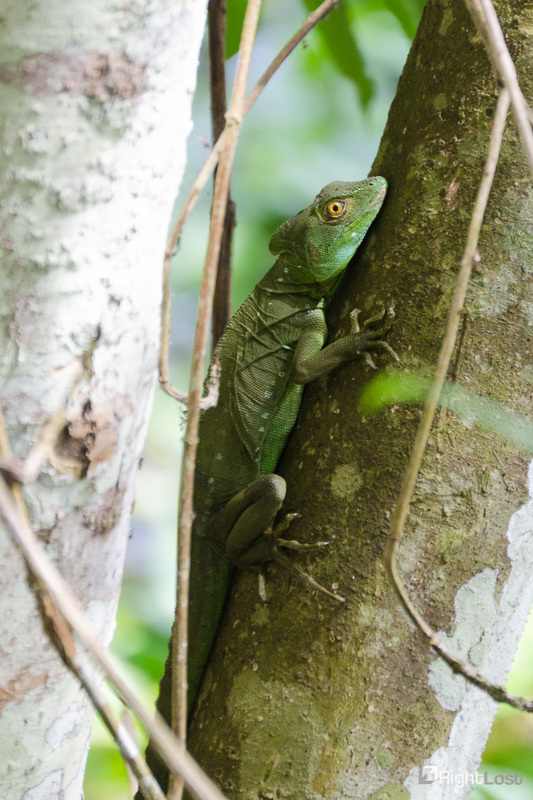 This was shot after we heard howling above us as we walked through the trees on one of the main paths an Manuel Antonio NP. Andrew did a 16 day G Adventures trip to Costa Rica in August 2012. 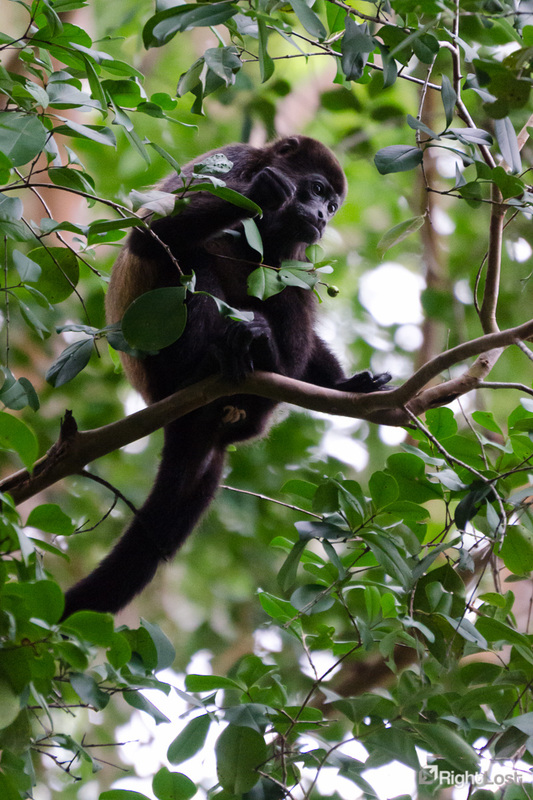 The trip was a spectacular collection of rainforest walks, wildlife viewing and activities, including riding the one of the longest Ziplines in the world over and through the Monteverde cloud forest. 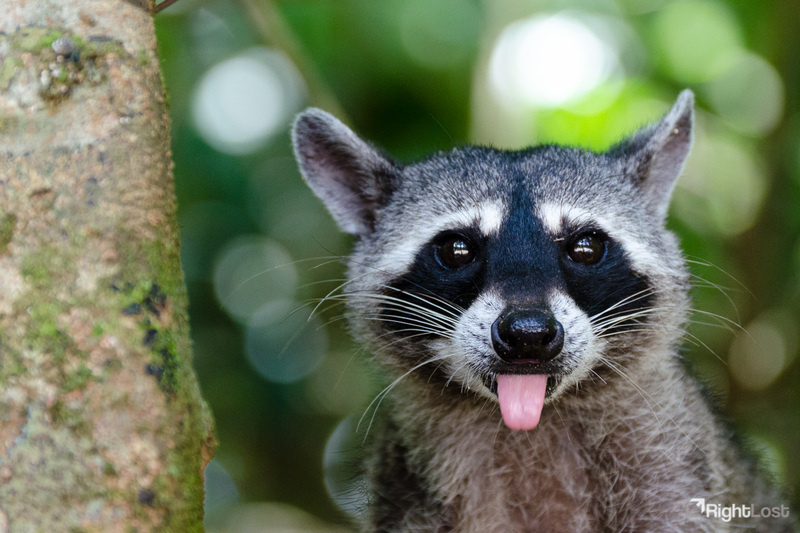 The country has an abundance of wildlife including four monkey species, sloths, green and red maccaws, multiple cat species, turtles and a huge variety of insects, lizards, snakes, spiders and birds. Not only was I lucky enough to see all the monkey species, I also got to see both maccaws, sloths and turtles nesting.